2019 REGRETTABLY, DUE TO LOW PATRONAGE OVER THE PAST FEW YEARS, WE HAVE BEEN FORCED TO DISCONTINUE THIS TRIP. MANY THANKS TO ALL THOSE WHO HAVE BEEN LOYAL SUPPORTERS FOR SO MANY YEARS! IT'S BROUGHT MANY GREAT MEMORIES! Be sure to log in before enrolling! If you have not registered on this website, be sure to do so before attempting to enroll for this event. An air-conditioned luxury bus will depart from the Big Y parking lot in Lee at 7:15 a.m. with stops in Stockbridge, Gt. Barrington, and Egremont, arriving at the Tennis Center at 10:45 a.m. The bus will return to Lee leaving at 7:00 p.m., stopping at the intermediary stops and arriving in Lee at 10:00 p.m.
Pay by Credit Card OR Pay By Mail at checkout. Reserve your seats now! Full refunds will be paid if we are notified 7 days before the event. MAKE A MEMORY THAT WILL LAST A LIFETIME! MAKE IT A FAMILY TRADITION! Adult Membership discounts will be applied at checkout. For the Children's Discount, please select Pay By Mail at checkout. You will enjoy the newly roofed Arthur Ashe Stadium! There will be matches RAIN OR SHINE! Plus this year we'll have the upgraded Louis Armstrong stadium, and the beautiful new Grandstand with plenty of shade for those hot afternoons! Our deluxe bus leaves from the Big Y Supermarket in Lee at 7:15 A.M. and returns to Lee at 10:00 P.M. (We're staying an extra hour this year, so you can catch a bit of those early evening matches.) 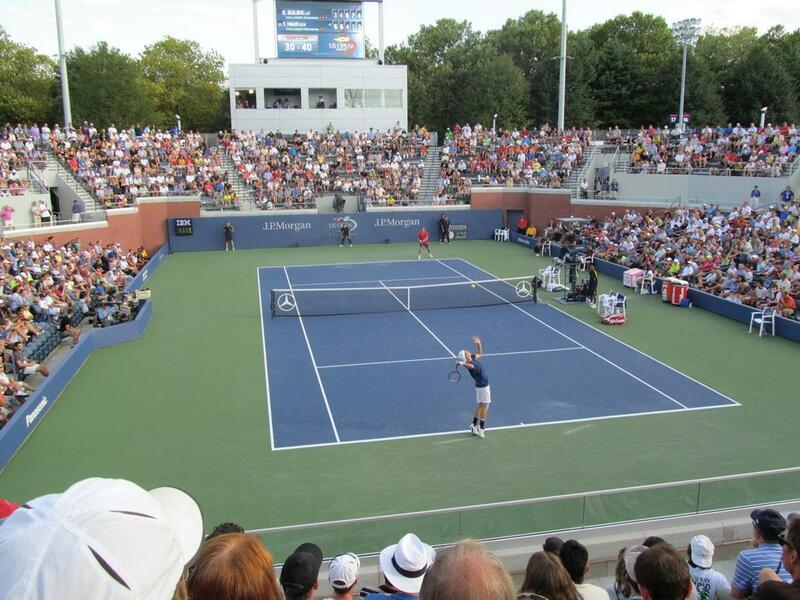 The fee includes the round trip bus and a reserved seat in Arthur Ashe Stadium. Added to this are the beautiful grounds to explore with their international flavor and access to six smaller stadiums plus multiple outer courts. All the matches showcase the best players in the world. For shoppers, there’s plenty of quality merchandise; also, the Food Court and several smaller bistros for international & NYC flair dining.